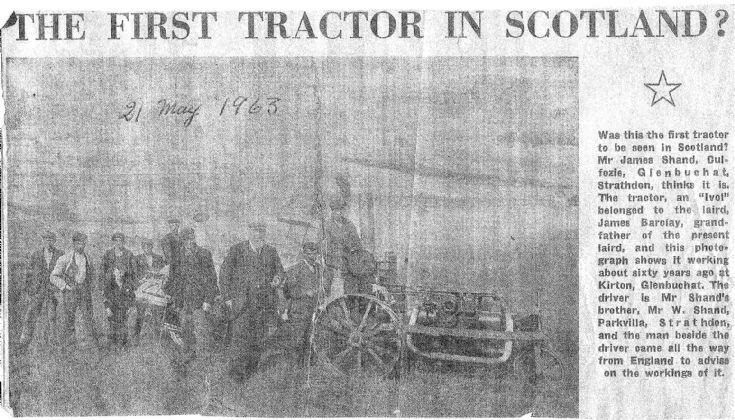 This tractor, one of the first in Scotland, worked on the fields of Kirkton Farm around 1907. It may have been bought by Col. Milne of Logie House Pitcaple (husband of Florence Mile - laird of Glenbuchat). It was demonstrated at the Royal Highland show at Perth around 1906. The registration is SA 275. Does anyone know how to trace the original owner from the registration?